Choose a Size, Choose a Brew. There's a Brew for You. Classic & Rich Brews - Our Classic Brew delivers smooth rich, balanced flavor from your favorite coffee. Want to take it up a notch? Rich Brew is richer than Classic for a more intense flavor that really stands up to extra milk and flavorings. Over Ice Brew - Over Ice Brew dials up the richness even further by increasing the coffee concentration to compensate for melting ice, so it won't taste watered down. Refreshing, huh? Specialty Brew - Specialty Brew creates our highest concentration of coffee. 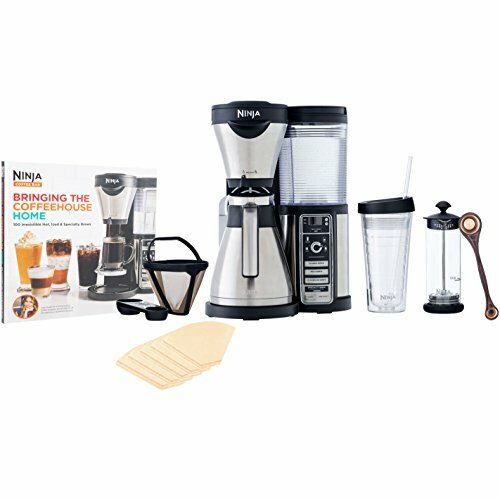 It's a coffee extract that, like espresso, you can use to create coffeehouse-style hot and cold layered beverages-right in your own home. You'll impress even yourself! EFFICIENT 43 oz. Stainless Double-Wall Thermally Insulated Carafe, traps in the fresh coffee flavor and keeps your coffee hot for up to 2 hours without a warming plate. Please Note: Kindly refer the User Guide before use.